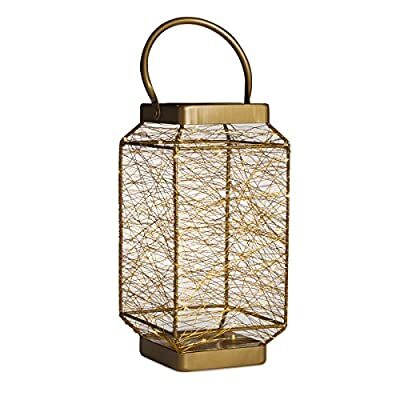 This luminous copper lantern brings classic good looks and an air of mystery to outdoor entertaining. The clean linear design, crafted of layers of wired LED will add a romantic touch of light with out flames or wires. Good news? You can use it indoors, too.